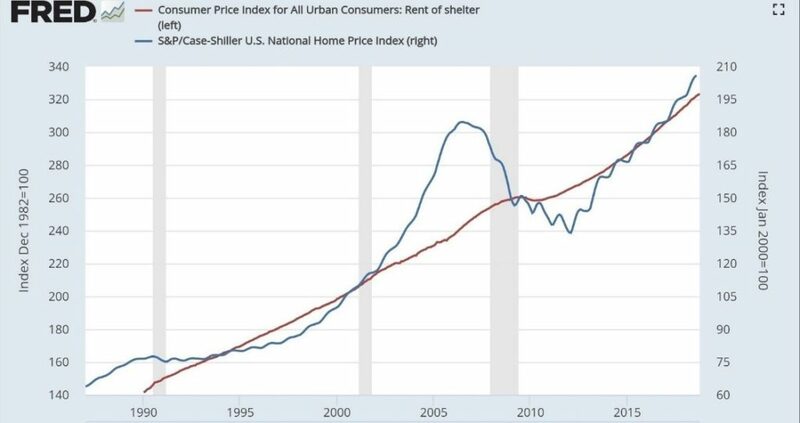 As real estate prices have exploded over the last 9 years (as of 2019) it’s been an incredibly fortunate time to be a real estate investor. However, this historic asset appreciation rate will not continue indefinitely. In comparison to historical S&P 500 returns, we believe that most major real estate assets have been speculatively priced above their underlying risk and return drivers. To address this, Naked Capital employs an alternative approach, driving excellent risk-adjusted returns without reliance on continued market appreciation. Rental income is demonstrably far more stable than Single Family Homes. During economic downturns, potential single family home buyers elect to continue renting — thereby stabilizing rental rates. We purchase assets with substantial, sustainable rental income on day 1. This substantial cash flow allows us to underwrite our investments to a market softening vs speculative market appreciation. While the upside to a highly-leveraged and speculative investment may be higher, our goal is to provide consistency and confidence in performance. Although the Multi-family, Value-Add, and Development markets have seen tremendous growth over the past 5 years, most markets are experiencing an oversupply of high-end rental stock relative to demand. Evidence strongly suggests this demand is diminishing. Young professionals are increasingly burdened by student loan costs, stagnant wages, and higher rental prices, while at the same time, the gig economy (think Uber and Amazon) continues to grow further exacerbating the affordability crisis. Multi-Family – Our ideal asset is a take-over from an overly speculative Value-Add team, where we will reduce rents initially to increase occupancy and provide value relative to other nearby assets. Once the asset is stabilized, we move forward with the implementation of operational efficiencies. 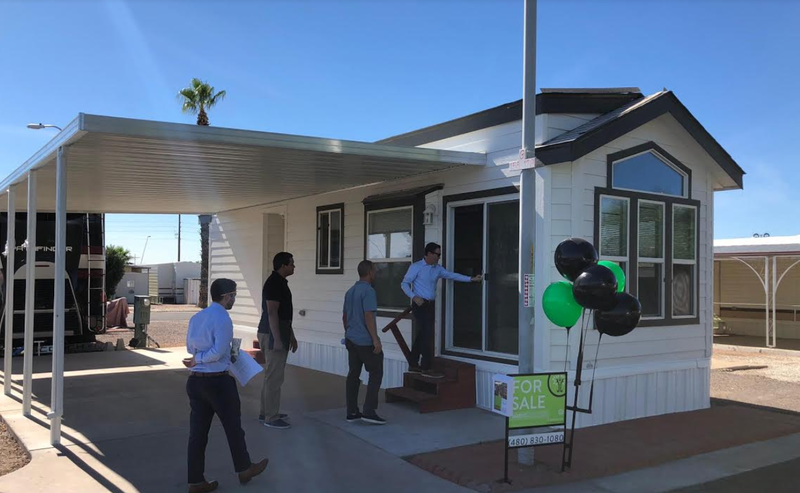 Tenant-Owned Manufactured Housing Communities – These are not the “trailer parks” of the 1970s; we buy manufactured housing communities of substantial quality. See below for an owned asset where the MHC owner can pay the mortgage, land rent (to us), and utilities for under $1,000/mo in a market where the average rent is above $1,200/mo and a new home is above $200,000. As affordability issues grow, we can provide the tenant owners with incredible value. We work exclusively with operators who have a unique competitive advantage. Typically, this comes in the form of a hub-and-spoke operating model with centralized leasing, contracting, legal, and marketing. The centralized operations enable our groups to operate as much as 20–30% less cost than the original owners and about 10% less than the nearest competition. Big cities are growing — specifically the ones we operate in. To maximize value, we focus on owning assets in places people want to live. Within these cities, we want to be in quality, in-fill locations. As people and businesses flock to our cities of operations, they protect the cash flow from the property. Additionally, we search for other drivers that fit our strategy, including affordability deficit, incidence of natural disasters, and scalability of our business plan. All prospective investors must certify that they are accredited investors, and provide either supporting documents or third party verification, eligible for this type of illiquid investment, and must acknowledge that they have received and read all investment materials. The securities offerings posted on the website are speculative. Investments posted on this website are not insured by the FDIC or by any other federal government agency, are not bank deposits, are not guaranteed by naked capital and may lose value. Neither the SEC nor any federal or state securities commission or regulatory authority has recommended or approved any investment or reviewed the accuracy or completeness of any of the information or materials posted on the website. Neither Naked Capital Group nor any of its directors, officers, employees, representatives, affiliates or agents shall have any liability whatsoever arising, for any error or incompleteness of fact or opinion in, or lack of care in the preparation or publication, of the materials and communication herein or the or that the valuation of any securities offering is appropriate. Prior results are not indicative of future performance and “forward looking statements” may be published on the website; actual results may vary materially. All investors must make their own determination of whether or not to make any investment, based on their own independent evaluation of the investment and their risk tolerance.